This class is recommended for students with prior aerial experience, some time in the foundation/lunch/beginner course or other equivalent is required. Flow through sequences and try more challenging postures. 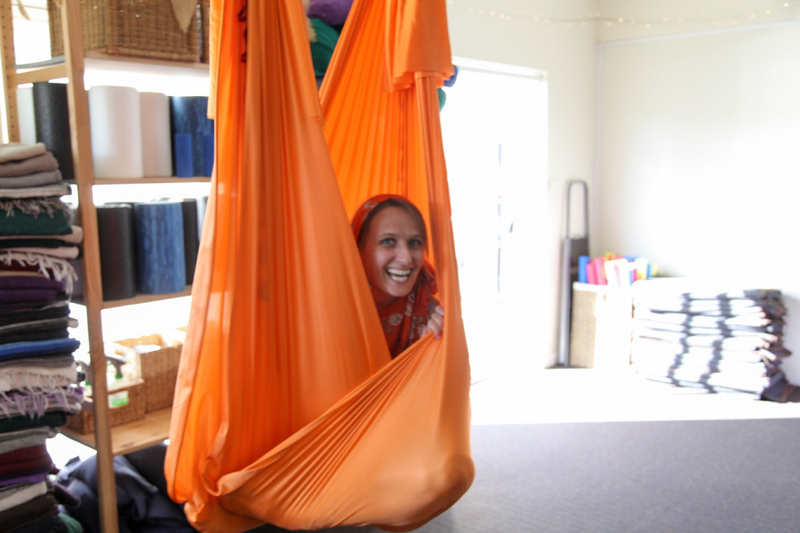 Move through traditional yoga poses and aerial adaptions all supported by the specially designed and load tested hammock. Join us for the adventure and take your aerial experience to new heights.